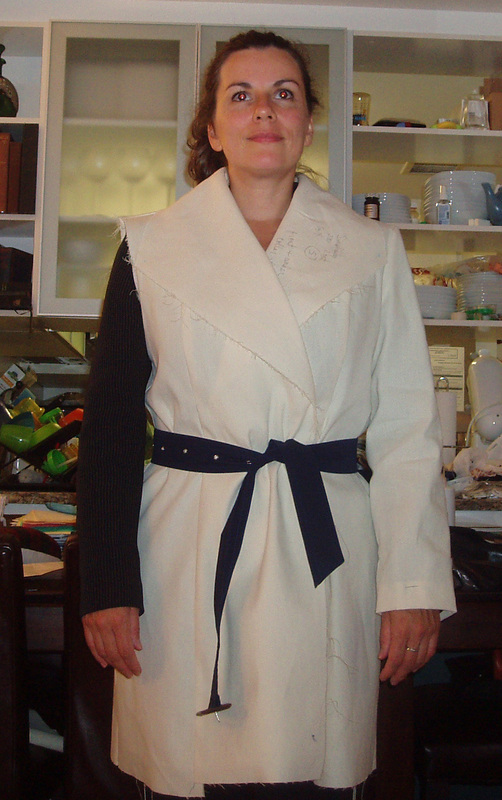 This entry was posted in Coats, Muslins, Sew Alongs, Sewing, Thea, Trench Along. Bookmark the permalink. It looks really great, Elizabeth!! The fit is perfect! Oh your muslin looks SO GOOD!! And I am glad you figured out what might be causing the Featherweight frustration. I had a similar experience with my machine. For a few months I was struggling with poor stitch quality (ie cussing a lot) and a week ago, I noticed the tension was set to 6, when it should the “normal” is 5. I switched it back to 5 and it has been sewing perfectly since then. I am still holding my breath, but it does seem to have solved the problem. Your coat is going to be gorgeous! The muslin looks great! Fit is wonderful! Everyone is making coats. I need to jump on the bandwagon! The muslin looks great. This is going to be one marvelous coat! Looking good!! I’m excited for you, too! Glad you’re enjoying the process. I’m enjoying my Lady Grey process. Wow, that REALLY looks good enough to wear itself! I think you’re right about the needle needing to be in the most upright position. If it’s only part way up, the last stitch isn’t properly formed. Sometimes more than one thread comes out of the bobbin hole that way, too. The muslin looks great! I am getting pumped to make a coat for fall, too! Your muslin does look good! Thea did a great job helping you work out those last few fit pieces. You are going to look great walking the two blocks to work in your new purple coat!!! That muslin looks terrific! I too think you’re right about the bobbin thread and the needle being in the highest position. The old machines are particular about things like that, where the modern ones are not. It’s also related to not turning the handwheel back while the machine is threaded. Bobbin thread will break and/or jam every time. It’s actually being cut by the bobbin hook, I think. 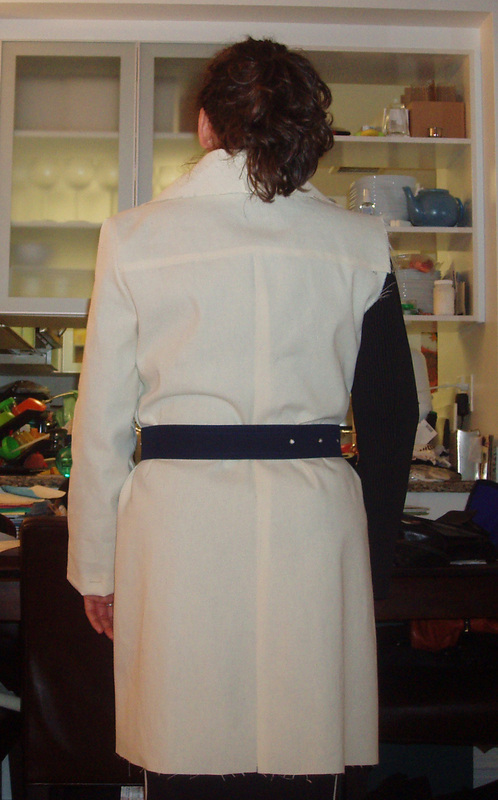 I’m looking forward to seeing your coat progress.